Here is a list of my Top 15 YouTube channels for Parent, Family and Mum Vloggers. Life is not what it used to be 6 years ago when I started blogging, and my interests have diversified a lot since then. I no longer spend an entire day watching makeup tutorials, analysing a picture of Kim Kardashian’s latest smokey eye or trialling 10 foundations under extreme conditions. Instead, I spend my days searching for tips on the latest teething remedy, how to introduce cow’s milk to my baby, is it safe to give calpol and ibuprofen for a fever, what should my baby be doing at 11 months old, how to help my baby walk, what can I do to entertain a one year old. Being a parent takes up the majority of my time, as it should be. So it’s only natural that I now spend more time watching other parent vloggers, who like me, take to YouTube to share aspects of their journey through parenthood. I find a lot of comfort in watching my fellow mum & dad YouTubers. I feel like they get me – the person I am now – and no topic is off-limits amongst us! 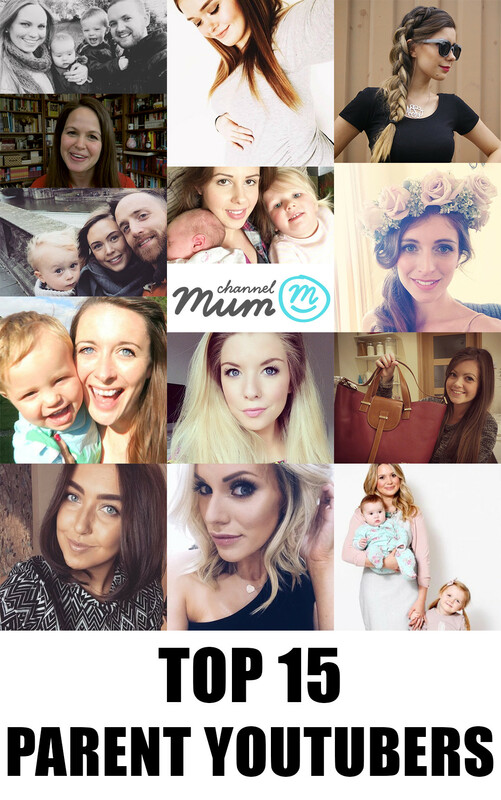 I’m so proud to have recently joined Channel Mum, a YouTube network for fellow mum vloggers. We, Channel Mums, stand for the honest face of parenting, which is exactly what my parenting style is all about. So if you like watching parenting videos, pregnancy vlogs, baby updates, parenting tips, baby hauls and everything in between, I’ve got you covered! Here’s my TOP 15 PARENT YOUTUBERS, FAMILY & MUM VLOGGERS. Press the play button below or click here to watch the video. If you have any other parent, family or mum vloggers to recommend, please leave them on the comments below. Poker Straight Hair – Yay or Nay? Valuable post . I was enlightened by the facts . Does someone know where I would be able to acquire a blank SSA SS-5 document to use ?